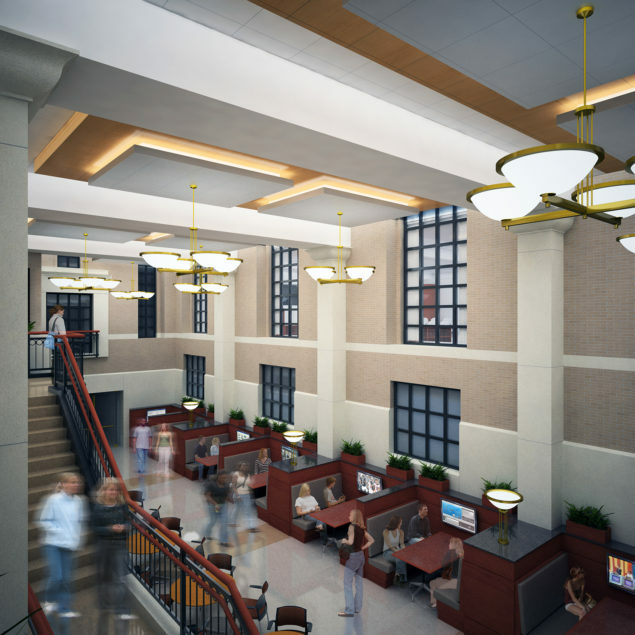 Addressing inadequate physical connections between Pattee Library (1939) and West Pattee Library (1969), renovating the lower level to provide this vital connection served to re-activate this underused area of the building. The Phase 7 Atrium, predominately circulation space, is activated by booths that we have coined “Data Diners” with embedded technology that enables students and faculty to collaborate both face to face and virtually. Additional meeting rooms to accommodate 12 to 20 people, equipped with scalable collaborative technology for students and faculty are planned for levels 2 and 3. 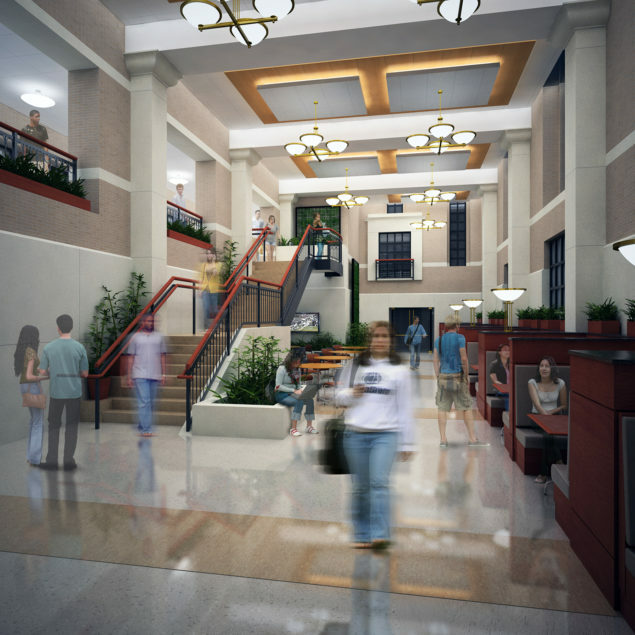 Each room will feature a dedicated breakout area. Room usage is maximized by use of an on-line reservation system while minimizing staff time required.